Department of Labor and Employment (DOLE) Secretary Silvestre Bello III and other labor officials are set to discuss Tuesday the possible impacts of the filing of bankruptcy by South Korean shipbuilder Hanjin Heavy Industries and Construction Corporation on its workers. “The emergency meeting is to discuss the possible measures that will help cushion the impact of the Hanjin issue,” Bello said in an interview with the media on Monday. The shipbuilding company has filed for corporate rehabilitation before a regional court in Olongapo City after the slowdown in the global shipping industry. Some 7,000 employees of Hanjin are feared to lose their jobs. Meanwhile, a labor group urged the government to intervene in the impending closure of Hanjin, the largest ship builder in the country. 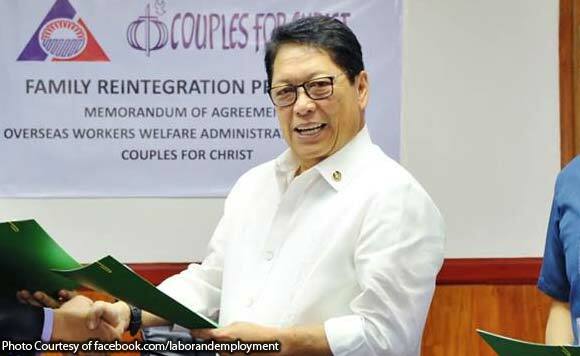 “We urge the government to intervene and save the jobs of thousands of workers, many of whom are highly trained and highly-skilled particularly in welding,” lawyer Sonny Matula, chairperson of Nagkaisa Labor Coalition, said in a statement. “We highly recommend that government takes over the financial rehabilitation and operation of the shipyard,” he added.